The technology blog for everyone. After spending 40 days with my work flip phone (see previous post), I was forced to get my own phone. 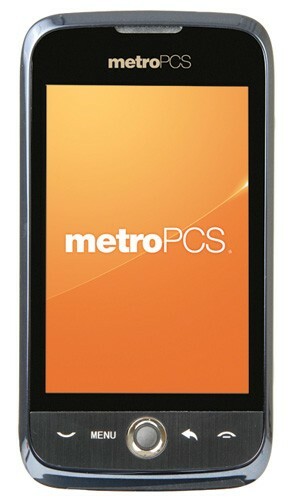 I chose to get the Huawei Ascend from Metro PCS, that was 40* days ago. It was cheap, $50 dollars per month for unlimited everything. Compare that to ~$100 per month for the big three carriers (e.g.,Sprint, AT&T, and Verizon). T-mobile you are still dead to me. There is no contract! Imagine that. Their internet connection is slow which makes it difficult to watch videos or stream music. Think back to the first generation of DSL/cable modems which came after 56K modems. You will constantly connect at 100 kbps or below. The phone is cheap, at around $100 without a contract. The phone runs Android 2.2. The phone lags a lot, especially when multitasking. The phone does not have a standard 3.5 mm jack, this is annoying for when you want to buy headphones or a male-male cable to connect your phone to your car stereo. In these times, saving money is a priority, so I will probably keep on using this phone until a great phone comes out. A great phone that is worthy of a two year contract which will set me back $100 per month. The Nexus "Prime" or iPhone 5 might be the phones that take the Scrooge out me. *If you are wondering why I keep on using 40 days, the answer is because 40 days is a good time period to test something. Android StockHTC SenseSamsung TouchWizSwipeSwiftkey None of these keyboards are the perfection that is the iPhone keyboard. Hence, if you have an Android phone like me, you are stuck with the second best keyboard experience. The second best experience is not automatically a bad thing. Insane example, would you not like to be world's second richest person? Swiftkey is the best Android keyboard option for the simple reason that it will give you the fastest and most accurate experience. The auto-correction is the best in the business and it only gets better over time as it learns from your past inputs. Here is a comparison of the the previous version of Swiftkey versus the Ice Cream Sandwich stock keyboard. The newest Swiftkey introduced "flow" which is essentially Swipe. But you are not obligated to "flow", since you will still have the best auto-correcting experience without it. So while the suits in Motorola are chewing bubble gum, checking for updates on their Facebook page, and holding meetings, Samsung is preparing to host a big event on October 24, 2012. The Samsung event will be about their upcoming Galaxy Note II phone. Samsung is going to do what Motorola cannot do, they are going to give their formally announced product a release date. The Samsung Galaxy Note II will be another monstrous phone much like the original Galaxy Note. The original Galaxy Note has a 5.5 inch display, the Galaxy Note II has a 5.55 inch display. For reference, all iPhones (except the iPhone 5) have a 3.5 inch display and most Android phones have between 4 to 4.8 inch display. Bottom line, the Galaxy Note line of phones is gigantic. The tech blogs refer to these phones as "phablets". The offspring of a phone and a tablet.